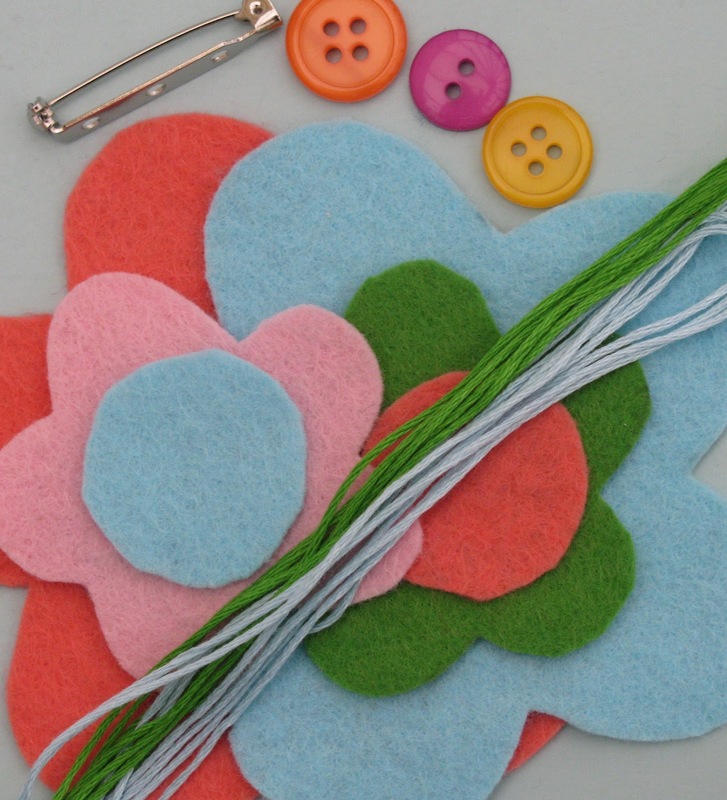 make your own felt flower embellishment. Wear as a brooch or stitch or glue onto something... or simply leave lying around. Our felt flower kit contains all you need to make your own felt flowers. There are lots of colour combos to suit any outfit, mood or room! Each one is made up from handcut wool blend felt and handpicked buttons. They are all unique! You can choose how to make your flowers. Perhaps one elaborate flower or 4 simpler ones. We've included a little stitching guide but check out some ideas here. 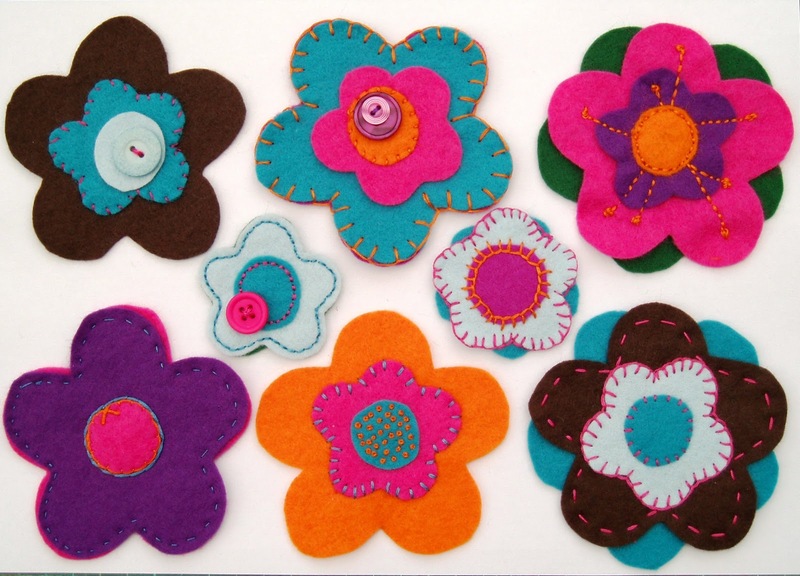 The Woolly Brew Felt Flower kit is £4.50 and includes felt, brooch bar, buttons, threads and stitching guide. Its available in lots and lots of different colour combinations!